Duck lanes (yes, duck lanes!) are now a thing in the UK. The Canal and River Trustis responsible for more than 2,000 miles of inland waterways in England and Wales. Their latest campaign is to inform passengers to "share the space". According to CityMetric, "the lanes are meant to highlight the paths; narrowness." "...cyclists and pedestrians can't be properly segregated along these routes due to their width, so it's everyone's responsibility to stay alert and watch out for walkers or bikes coming in the opposite direction." Not to mention, be aware of the local wildlife! You will get pulled over if you aren't a duck in the duck lane. Watch out for the bikers, Ducks! "These bikes lanes are so annoying." said the duck. What's next? 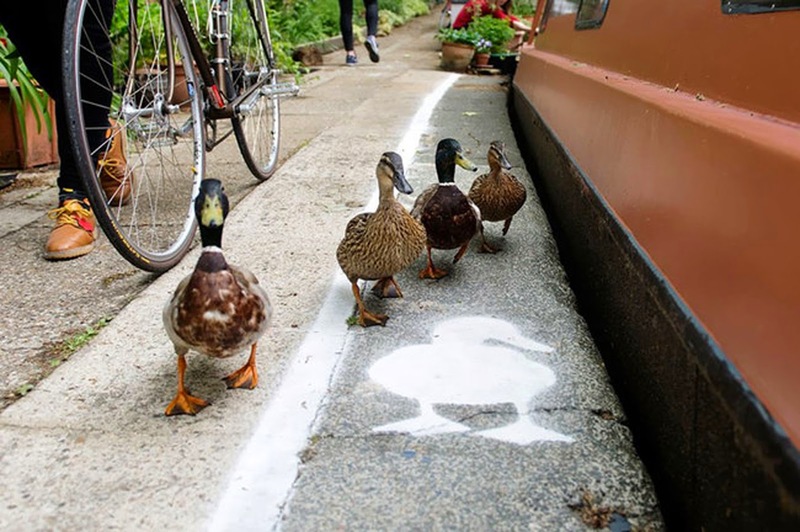 Lanes for duck bikers?